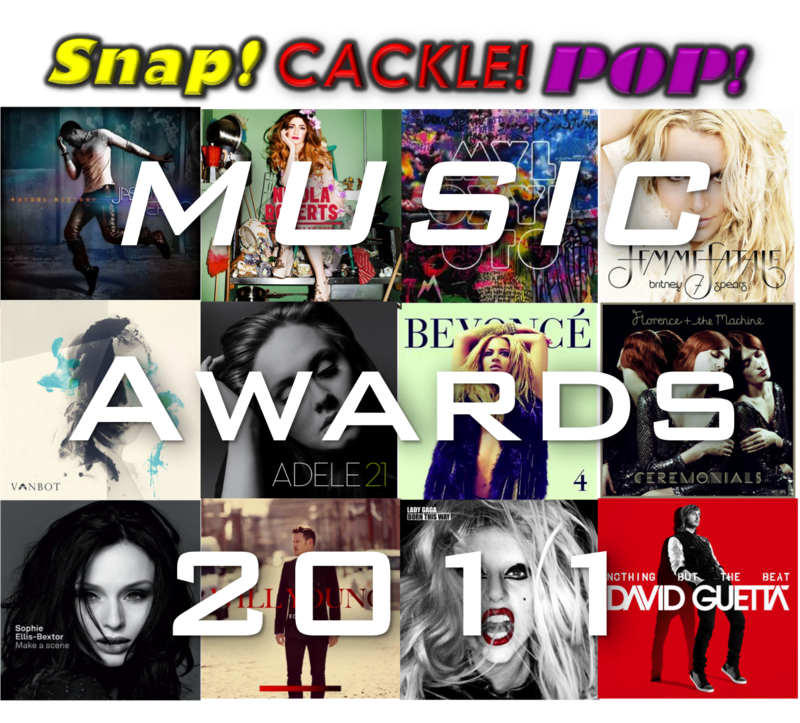 SnapCacklePop: SnapCacklePop Music Awards 2011 - We Need You! SnapCacklePop Music Awards 2011 - We Need You! As we come into the festive season at SCP HQ, we started to talk about the year in Pop that was 2011! With Katy Perry entering in the music history with so many No.1 off the same album, the sad passing of Amy Winehouse, Beyonce falling pregnant, Lady Gaga being more Gaga, Steps returning to the charts, Adele taking over the world and so much new music its like its been Christmas EVERY week! ...and we want YOUR help!!! Its been a such a BIG year in Pop! So we have ten categories of awards this year and we want to hear who you think should be nominated! Who do you think had the best video? Made an awesome debut into the charts? Had the worst song of the year? Is One To Watch for 2012? or the best Pop album this year? So let us know who should be nominated in this years awards by leaving a comment or sending us an email at SCP HQ with your nominations. Get your nominations in now and be part of deciding who deserves one of our awards!